Wuxia is one the genre staples of Hong Kong cinema, as much a cornerstone of local filmmaking as kung-fu flicks and triad movies. In Chinese literature, tales of heroic swordsmen wandering the realm, combatting evil, have a history dating back centuries. 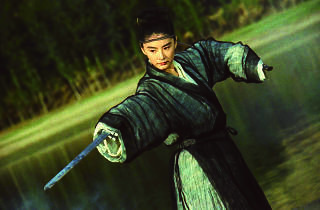 In cinematic terms, the genre can be traced back to 1925 and Lady Knight Li Feifei, produced in Shanghai by none other than the Shaw brothers’ Tianyi Film Company. 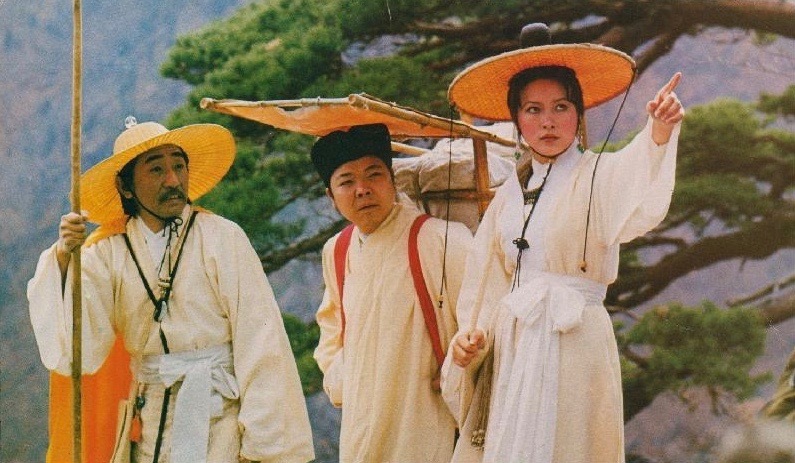 One of the most innovative films in Hong Kong cinema history, Come Drink With Me can be credited with firing wuxia’s cinematic revival in the later 20th century. 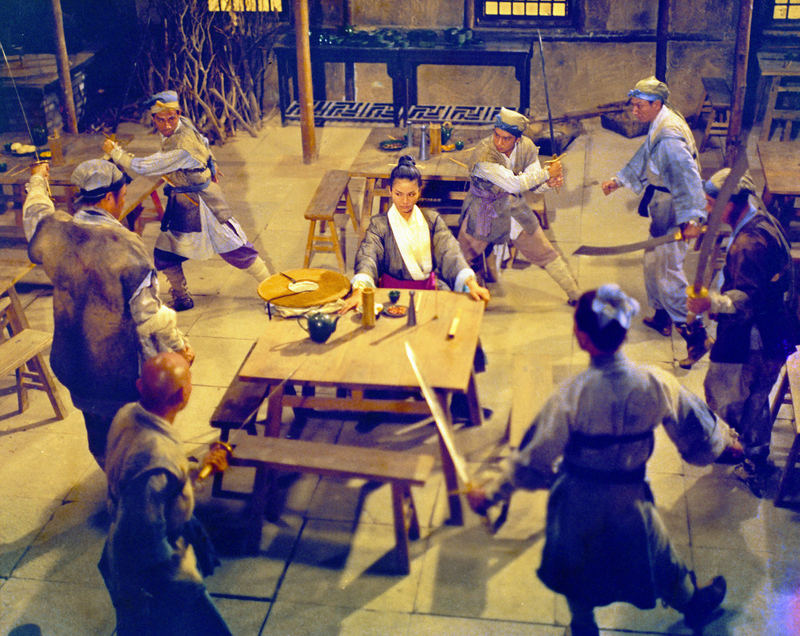 True, in Taiwan, King Hu would go on to direct more accomplished tales of swordplay such as the masterful A Touch of Zen and Dragon Inn, but this is where it started. The main casting is superb. Cheng Pei Pei, as Golden Swallow, would improve as a screen fighter but, thanks to her training as a dancer, her movements are never less than slick and the withering looks she directs at her bandit foes establish her as the accomplished warrior she is. Opposite her, Chen Hung-lieh, as Jade Faced Tiger, delights in his villainy and almost effeminate manner. Beautifully composed and shot – the early restaurant scene is a joy to watch – 50 years on, Come Drink With Me remains almost unsurpassed. 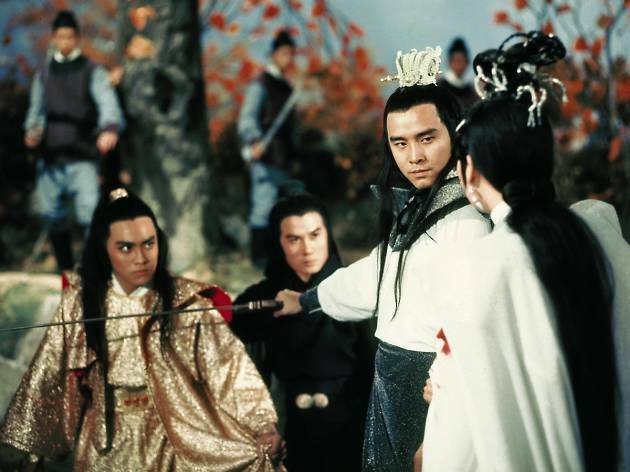 Responsible for a string of wuxia classics – the likes of The Magic Blade, Killer Clans, Clans of Intrigue – as well as the historically important The House of 72 Tenants, it’s criminal that director Chor Yuen’s name isn’t better known. Intimate Confessions is his most famous wuxia movie, largely thanks to its scandalous, for 1972, lesbian element (it would later influence Clarence Fok’s cult classic Naked Killer), but it’s also his best. Its exploitation theme – Ainu, our virginal heroine, is kidnapped and forced into prostitution, for which she seeks revenge – marks it out immediately. The killing, when it finally begins, is hugely satisfying and the final fight in the tattered remains of a brothel is visually splendid. Ainu’s climatic speech, of utilising love rather than hatred to take revenge, is a genre classic, as is the entire film. Derek Yee (yes, he who would go on to direct the likes of acclaimed tearjerker C’est la Vie, mon Cherie) stars as the talented but burdened Third Master, a famous swordsman of the jiang hu who finds it impossible to escape his renown and must battle a ceaseless parade of fighters looking to defeat him and claim the title of the strongest. 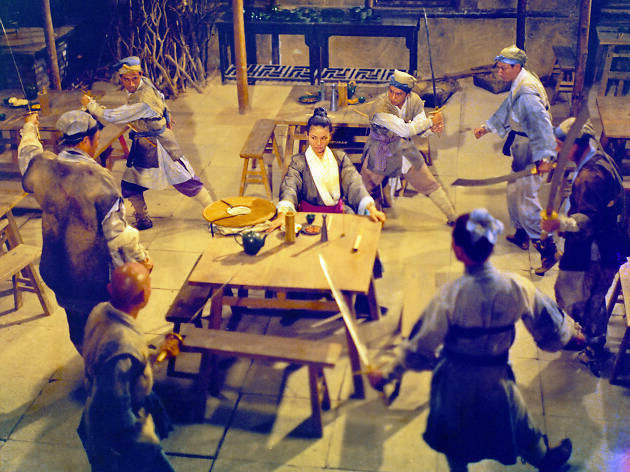 One of the more pulpy entries on this list, the fantastic Death Duel kicks off with Yen Shih-san surrounded in a clearing and declaring, in dramatic fashion, that he will slay all six opponents in no more than 13 strokes of his blade. The tone is thus set for the remaining 90 minutes of action. Admittedly, director Chor Yuen (him again) somewhat overreaches himself in this adaptation of Gu Long’s novel – there’s no need to introduce so many minor characters only to kill them off almost straightaway – but the theme at the heart of this story, of fame being a burden, is well presented and still feels incredibly contemporary 40 years on. 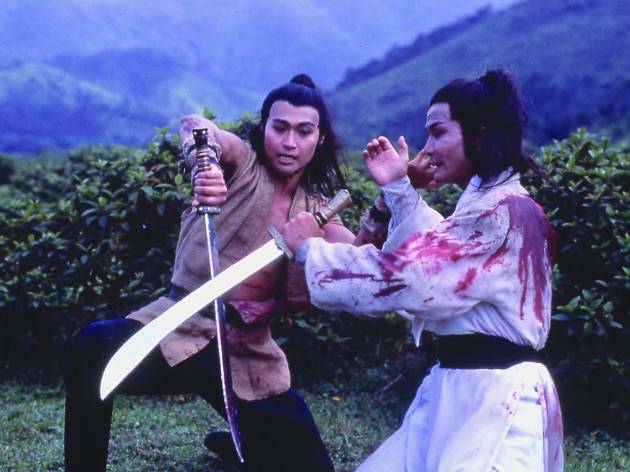 Although John Woo would make a name for himself with his bullet-riddled ‘heroic bloodshed’ movies, it was in wuxia that he made his directorial debut. Still, even before switching martial arts masters for cops ’n’ robbers, Woo knew his obsessions. Like his later hits A Better Tomorrow and The Killer, Last Hurrah for Chivalry takes place in a cynical world where the innocent suffer and the only loyalty that exists is the brotherhood between noble outsiders. Although the story is a largely unremarkable tale of revenge – except for the surprising immorality of Ko Peng in seeking his vengeance – the pacing is brisk and the performances of the lead characters are excellent in terms of what little they have to do. The almost constant action in the second half does become a little wearisome, but the skills on display are some of the best of the 1970s and hold up well today. A Hong Kong/Taiwan co-production, this was director King Hu’s last great film. As the film begins, the abbot of a renowned temple has requested the help of three notable outsiders to help assist him as he picks a successor. The serenity of the temple and beauty of nature highlight the pettiness and greed of the less enlightened characters who push the drama forward, driven by their regrettable attachments to the vanities of the world. 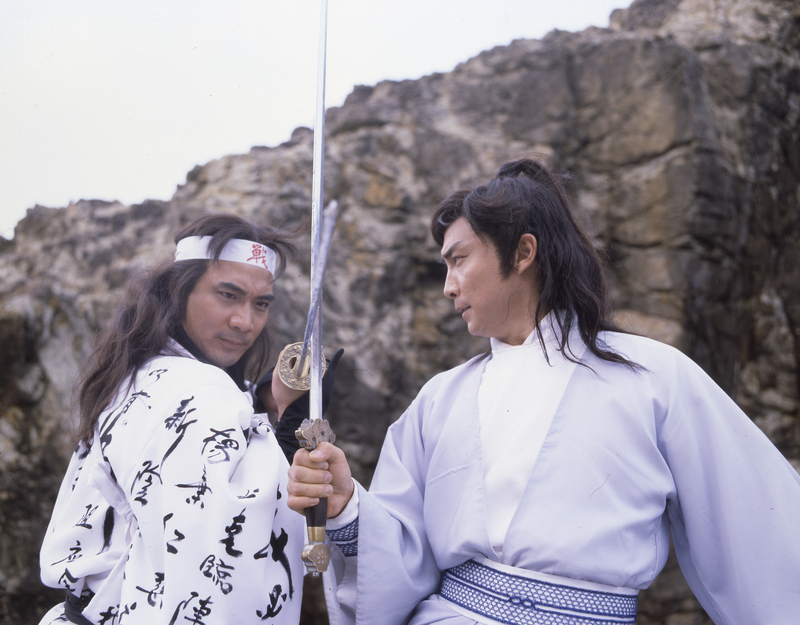 One of the most philosophical of wuxia movies, the characters don’t engage in fantastical sword fights. Instead, they play cat-and-mouse games of hide-and-seek, darting around the temple in nimble moves. The film’s less agile characters play their own games, albeit of a more political kind. 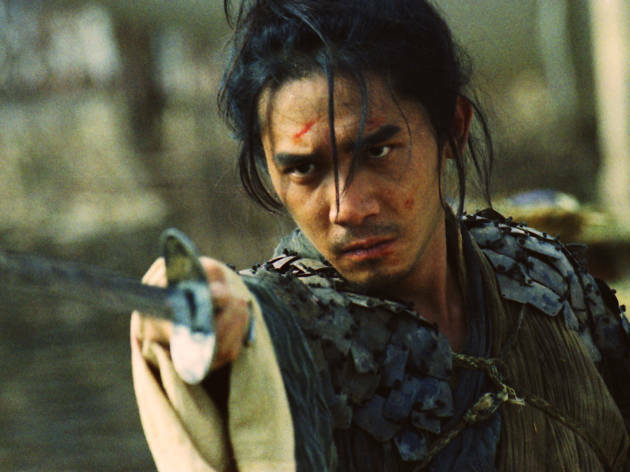 The film’s focus on Buddhist teachings over derring-do and its slow burn pace won’t appeal to those brought up on the hyper-kinetic wuxia films of the 90s but Raining in the Mountain is almost unique in the genre and worth watching for that fact alone. 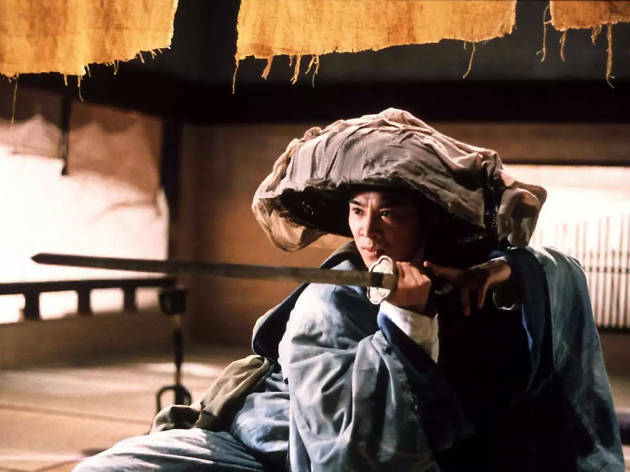 Arguably the pinnacle of the ‘new wave’ of wuxia movies made in the 1980s and 90s, it’s not uncommon to hear the recommendation that viewers skip the 1990 original. While parts two and three feature an entirely new cast and are thought of in higher regard, such behavior is not recommended for those unfamiliar with the source material – Jin Yong’s novel The Smiling, Proud Wanderer – given the many characters and storylines that feature. Basically, though, the film follows Linghu Chong (Jet Li), an amiable wanderer with a penchant for booze, on his quest for the Sunflower Manual, a scroll said to provide the secret to immense power. Also hunting the scroll is the cunning Dongfang Bubai (Bridgette Lin), who eventually castrates himself to achieve greater power, which starts his transformation into a woman. 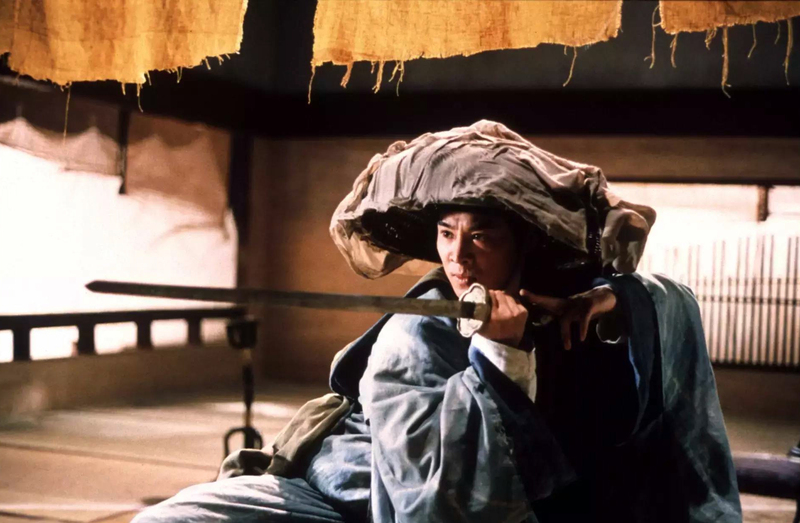 Purists regard the Swordsman trilogy and its ilk with disdain, feeling the superpowered warriors and slapstick comedy are nothing but a poor parody of traditional wuxia. There’s some merit to the argument but only the most curmudgeonly critic would deny Swordsman 2 is highly entertaining. King Hu was responsibile for more than just one classic wuxia tale. 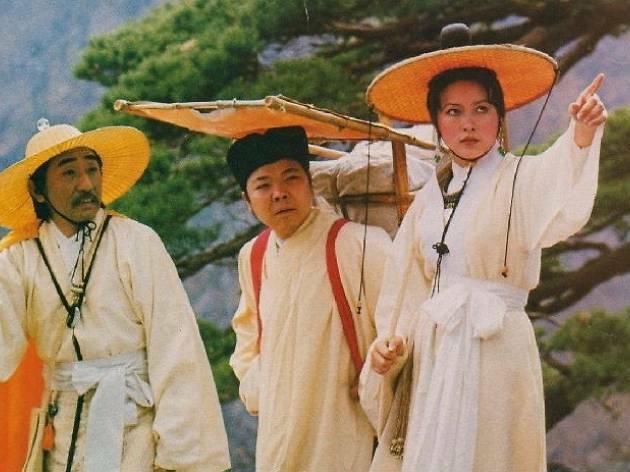 And while Come Drink With Me and Raining in the Mountain remain hugely important, Hu’s Taiwanese efforts, such as Dragon Inn and A Touch of Zen, are the ones considered the apogee of the genre. But we’re talking Hong Kong films here and this is a sumptuous and worthy remake of Hu’s aforementioned 1967 original in which an evil eunch forces a showdown with his more noble rival at a distant outpost. The cast is stellar – Tony Leung Ka-fai, Bridgette Lin, Maggie Cheung and Donnie Yen play the leads – and all shine under Tsui Hark’s direction. The fighting stays relatively grounded until the climax but the film’s mix of suspense, action and romance is thoroughly engaging throughout. 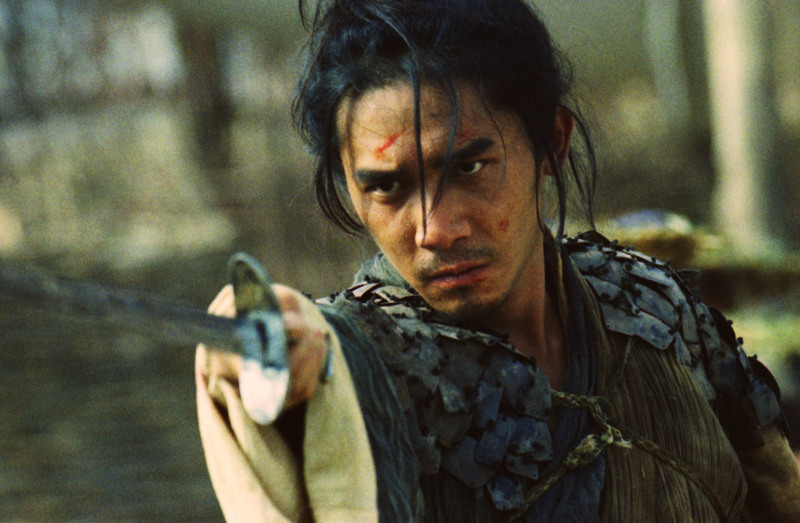 Centred on a desert outpost where a cynical agent, Ouyang Feng (Leslie Cheung), acts as a middleman for those seeking a swordsmen for hire, Wong Kar-wai’s foray into wuxia is a divisive effort. To its detractors, its jumbled storylines are confusing and the lack of action a disappointment. To others, it’s a supremely stylish work, full of rich characters that rewards repeated viewings. 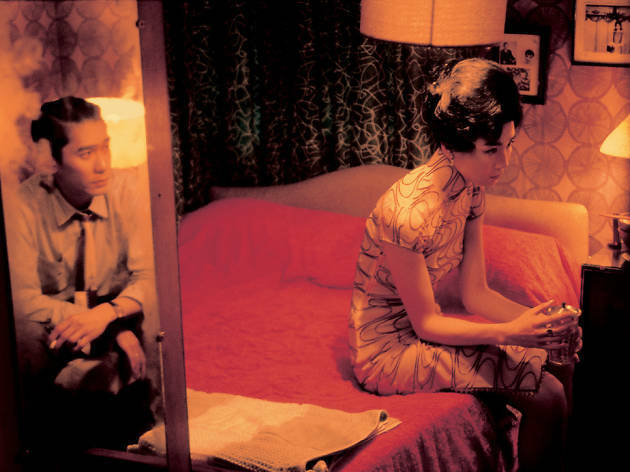 During a break in the lengthy and troubled production of Ashes of Time, Wong would take two months off to refresh and shoot the ad hoc Chungking Express. 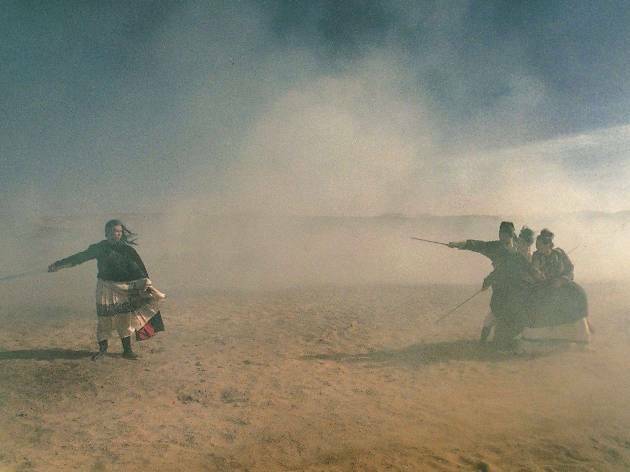 The lighter, more accessible work would gain the auteur greater recognition, but Ashes of Time is arguably Wong’s most underappreciated film. 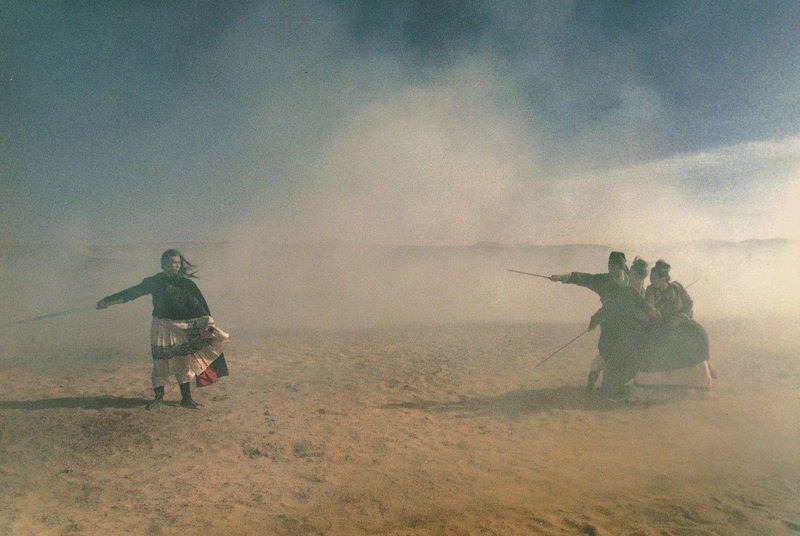 It may lack the technical swordplay of other films on this list, opting for more stylised fighting when any action actually takes place, but for those willing to invest time in re-watching it and grasping its subtleties, Ashes of Time is one of the finest of its kind. Did we mention that its cast – Leslie Cheung, Tony Leung Chiu-wai, Maggie Cheung, Brigitte Lin, Tony Leung Ka-fai, Jacky Cheung, Carina Lau and Charlie Yeung – is probably the finest one ever assembled in a Hong Kong film? 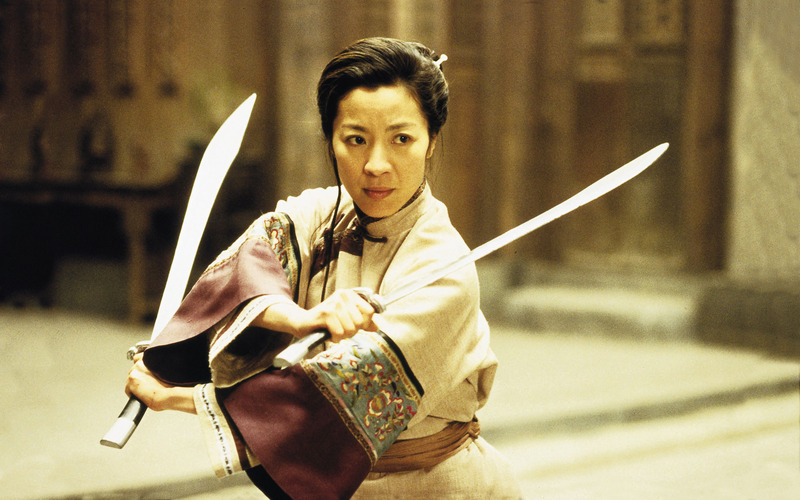 Although there’s nothing revolutionary about Crouching Tiger, Hidden Dragon, apart, perhaps, from the popularity it achieved abroad, it remains a supremely slick package complete with an excellent balance of drama, graceful fight scenes and fine period details. 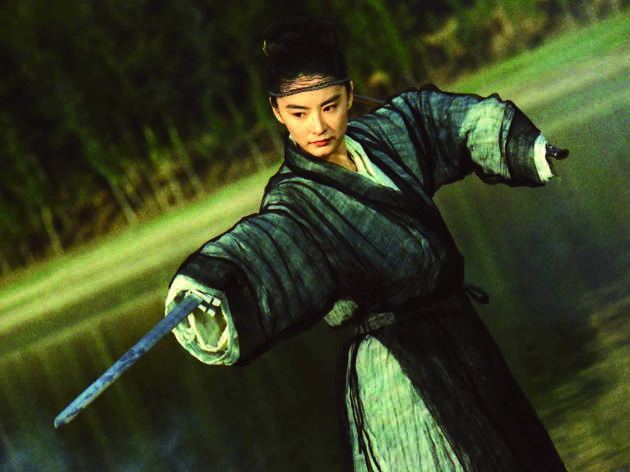 Based on an installment of novelist Wang Dulu’s Crane Iron series, Yu Jiaolong (Zhang Ziyi) is both hero and villain, a secret martial arts adept who steals the coveted sword Green Destiny, which kick-starts a hunt for both girl and blade. 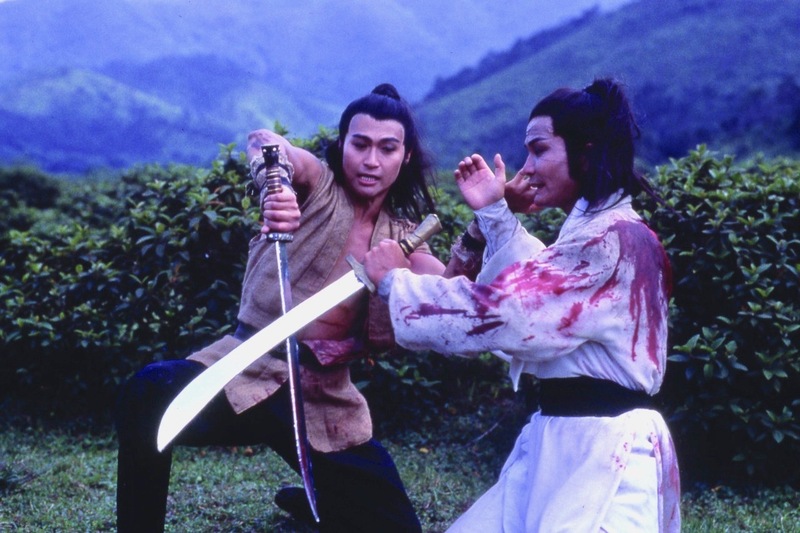 The action scenes, such as Chow Yun-fat’s face-off with Zhang in the bamboo forest, remains iconic. 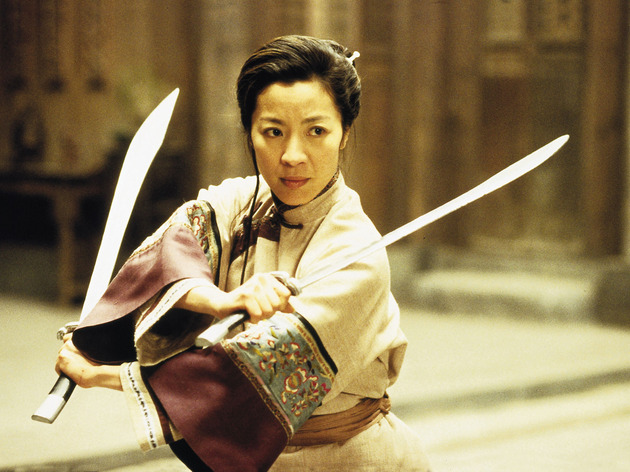 Remember, Crouching Tiger didn’t bag four Oscars for nothing.